Introduction: In 2014 Brett Hite set the Facebook, Twitter, and fishing discussion forum worlds on fire by winning an FLW event on storied Lake Okeechobee throwing a chatterbait on a "mysterious" red and black rod. Of course, the only real mystery was the rod's model number and name since most are aware Brett Hite is sponsored by Evergreen International. So, the stick in question? It was the Heracles, HCSC-73HG Leopard and we managed to get our hands on one to check it out for ourselves. Quality/Construction: The HCSC-73HG Leopard is a two piece 7'3" graphite and glass composite stick finished in a very distinctive deep red hue. The rod separates at the handle like many JDM sticks over 7' in length, so once assembled, you are never really reminded it's a two piece stick. The handle features a split rear grip made of cork and a small cork foregrip that helps to conceal where the two pieces are joined. Introducing the HCSC-73HG Leopard from Evergreen International. As we've come to expect with Evergreen International, everything about this stick is pretty spot on from the quality of the finish to the epoxy work, to the straightness of the blank and guides to the precision of its grip assembly. The only thing to really criticize is the cork which does have some amount of filler - hard to avoid these days with cork. Otherwise, quality control is definitely a strong suit with Evergreen. 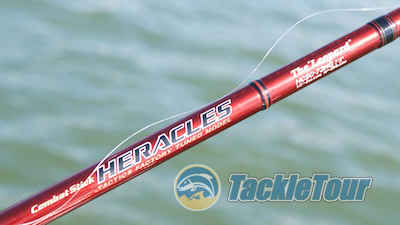 The Leopard is part of the Heracles lineup. 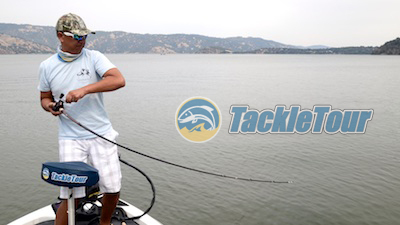 Performance: I paired the Leopard with a Shimano Scorpion 201 (JDM Curado I) spooled with some old school Berkley Trilene XL and brought the combo along to a few testing trips out on Clear Lake, CA. 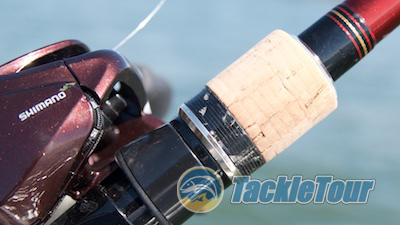 Check out how this stick almost all the way to the handle on a cast. 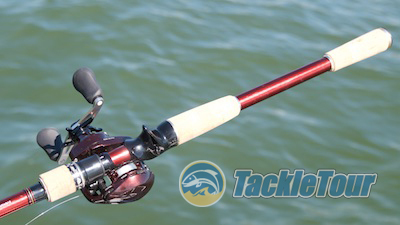 Casting: The Leopard is a composite stick that feels like a full glass rod but without the added weight. There's a color transition from a kind of bright, dark red at the base of the rod to an even darker, more burgundy red about midway up the rod that I'm assuming denotes the change in material. 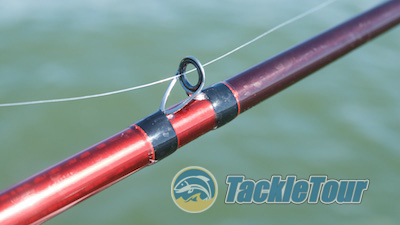 This fiberglass top section of the rod is very buttery and loads extremely well during a cast to launch your baits with confidence. 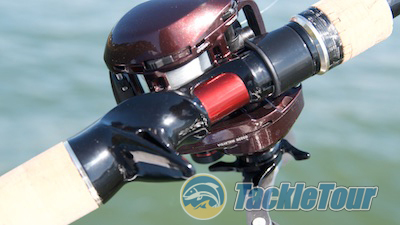 It features the polarizing Fuji ACS reel seat. The HCSC-73DG Leopard is rated for baits between one half and two full ounces (1/2-2oz) and handles baits within this range just fine. It's a pretty beefy stick but thanks to its shorter length, it doesn't feel like it. The foregrip helps to mask the fact this is a two piece stick. Sensitivity: I was fishing this stick with nylon monofilament and would consider its sensitivity on average for what I expect from a glass and graphite composite stick. This means it's not as sensitive as a full graphite rod and maybe just a hair better than a full fiberglass stick. 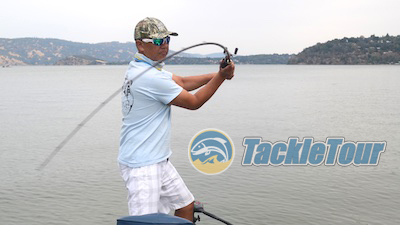 If you use braid with a fluorocarbon leader or even full braid or full fluorocarbon, you'll get better results, but don't expect to have your mind blown by this rods sensitivity. Despite that, it fishes like a one-piece. The Leopard is a composite stick with the transition between graphite and glass happening right about here at the color change beneath the first guide.